Durable shock and fire proof body. The Enclosure (Body) Of Ujala Flex Box Enclosure Is Molded Out Of Abs Plastic. Also Known As Flame Retardant Abs, With Its Outstanding Heat Resistance, And Almost Nil Weather Ability Offers An Optimized Balance Of Properties While Minimizing The Deterioration Of Its Original Properties. 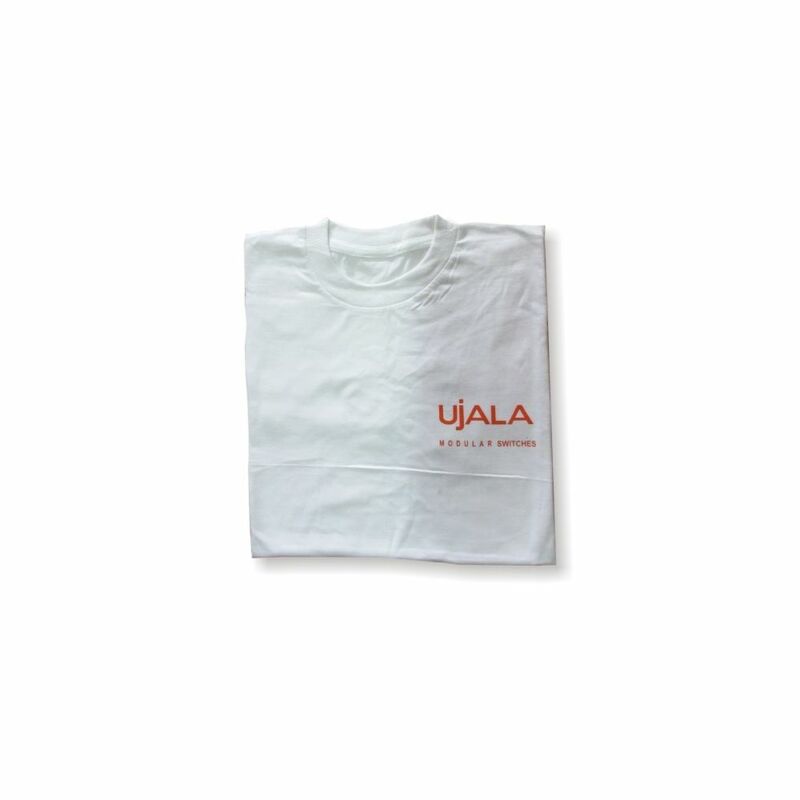 Being Ultra Durable And Shock Proof Ujala Flex Box Are Made For Long Uninterrupted Use. Suiting The Needs Of Our Customers For Electrical Usability Abs Is A Perfect Enclosure For Ujala Flex Box. Abs Plastic Is A Very Good Electrical Insulator. The Universal Pins Ujala Flex Box Come With One 3 Pin And 2 Double Universal Pins. Pins Being Made Of Brass Have Higher Strength And Hence Better Wear Resistance Than Copper. So, Brass Is Used For The Pins Because It Is The Best Compromise Between The Three Competing Needs For Low Cost, Good Electrical Resistivity And Good Wear Resistance. Ujala Flex Box Has A Smooth Roll Back Of Cable. 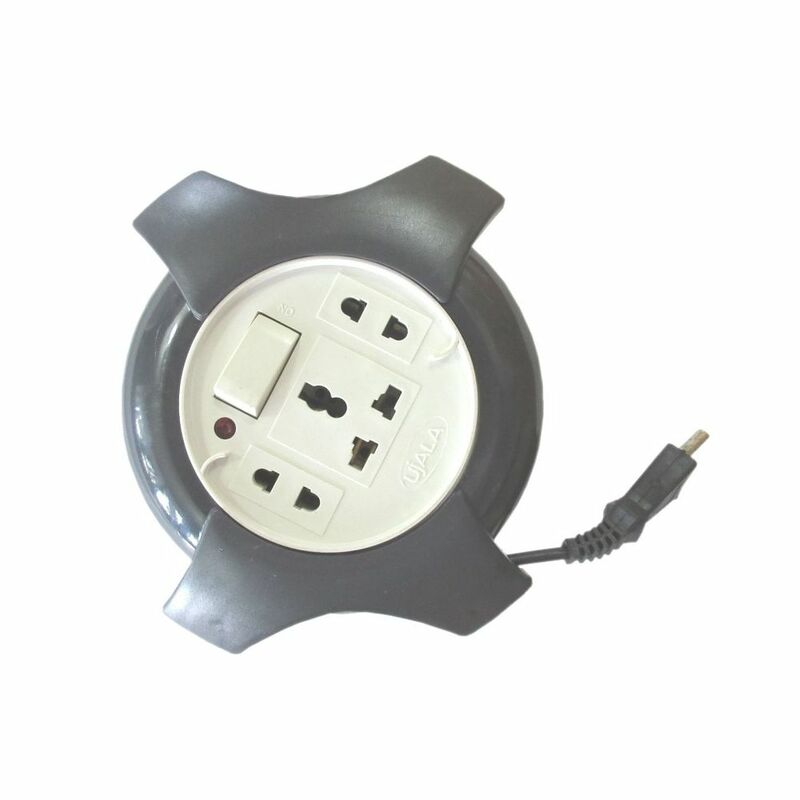 Ujala Flex Box Is Suitable For Kitchen Appliances, Fax Machines, Voltage Stabilizers, Laptop, Computers, Printer, Table Fans, Medical Equipment’S. The Cable Ujala Flex Box Are Equipped With Heavy Duty Cables To Bear The Optimum Load Of Any Midsized Appliance. 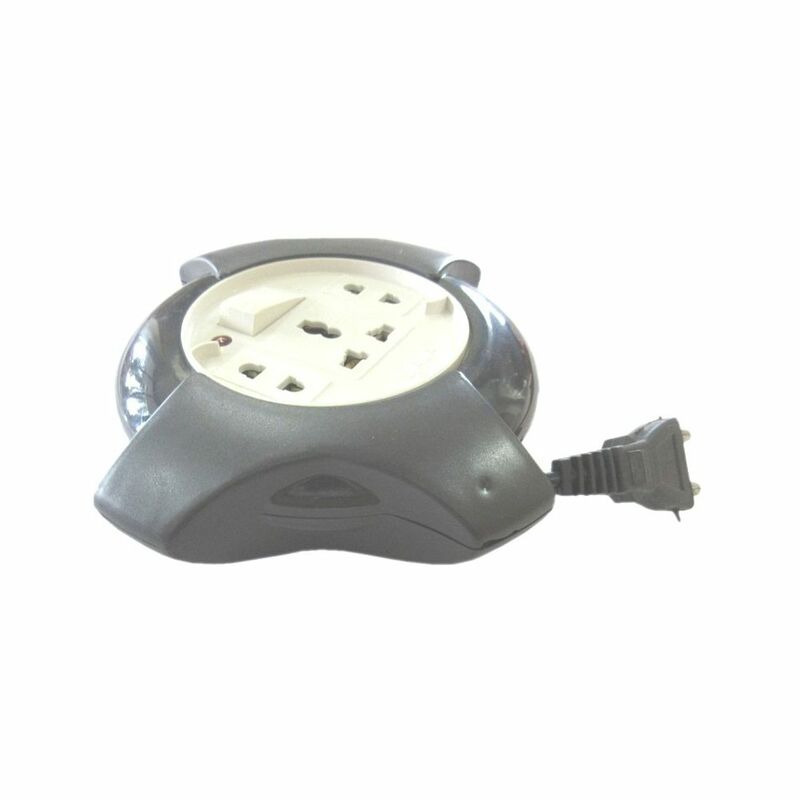 Ujala Flex Box Is Suitable For Kitchen Appliances, Fax Machines, Voltage Stabilizers, Laptop, Computers, Printer, Table Fans, Medical Equipment’S, Television, Projectors And Many Such Electrical Appliances. All Ujala Flex Box Bear A Warranty Of 12 Months Against Any Manufacturing Defect. Ala Star Flex Box Are Made Of Abs (Fire Proof) Body. Ujala Flex Box Has 2 Pins With An Led Indicator And 4 Mtrs Of Cable. Ujala Flex Box Has A Smooth Roll Back Of Cable. 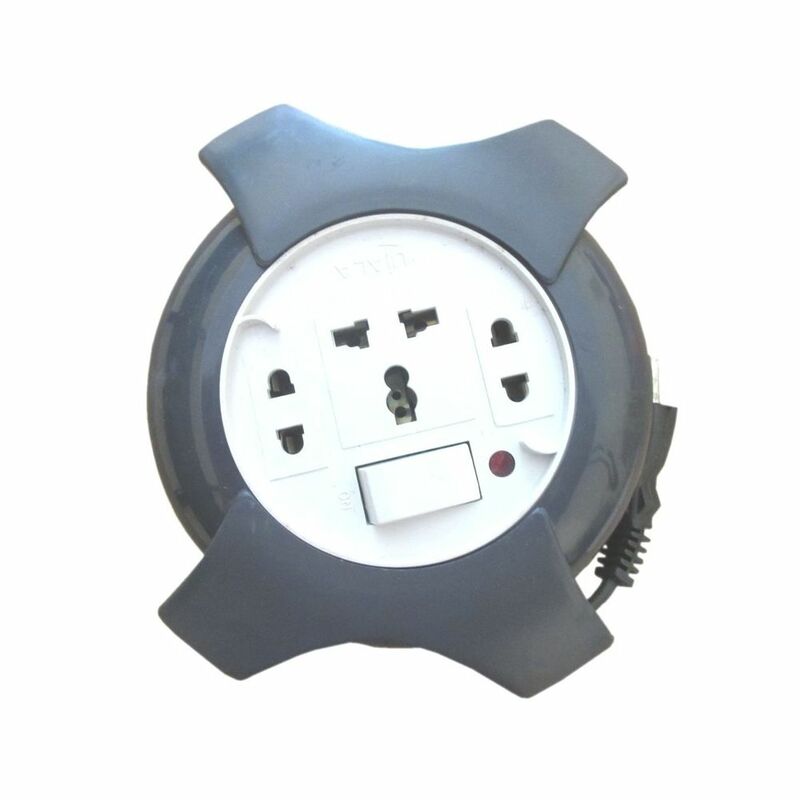 Ujala Flex Box Are Suitable For Kitchen Appliances, Fax Machines, Voltage Stabilizers, Laptop, Computers, Printer, Table Fans, Medical Equipments. All Ujala Components Are Built Indigenously Under The 'Make In India' Initiative .All Ujala Flex Box Have A Guarantee Of 1 Year Against Any Manufacturing Defect.